Welcome to part three of our running series focusing on you, the people of the RunBuzz running community. This special six part series will be released daily. Each episode focuses on one specific runner, their running journey and the tips that they wanted to share with you. In today’s episode, my special guest is, Lynn Leiby. Lynn resides in the United States in the Dallas/Ft. Worth area. Listen in as he shares his story and some of his favorite running tips. 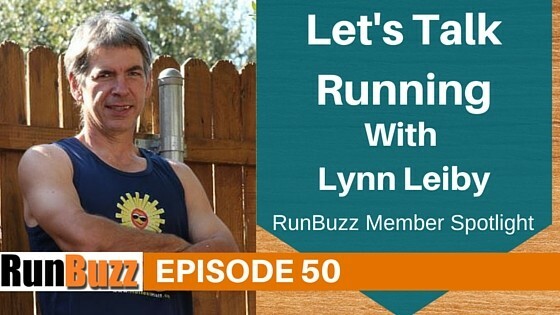 How Lynn got started in running. Lynn’s amazing weight loss journey over losing over 100lbs, 70lbs in just 7 months! How he lost most of his weight through running, push ups, ab crunches based on his past Army experience. The changes to his diet that helped with his weight loss. His worst running moment and how he pushed through it. His favorite running tips: Slowing down to run further. Why it works. I hope you enjoy this series, and if you would like to share your running journey, please don’t hesitate to reach out to me.